Microsoft announced less than two weeks ago that its Edge browser will soon gain support for iPad, and made the new feature available to everyone enrolled in the beta program. 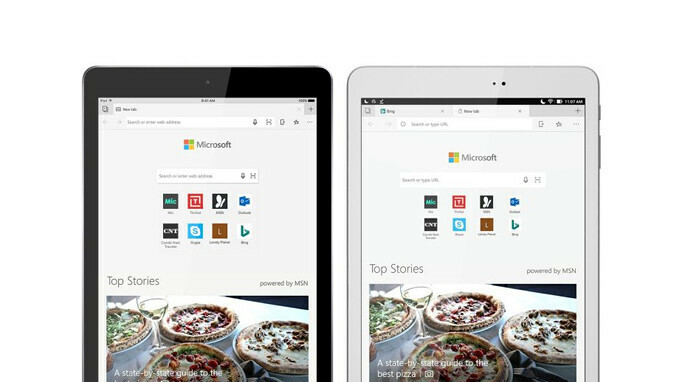 Fast forward ten days and the new stable Microsoft Edge for iOS and Android come with support for tablets. If you were disappointed by the browsing experience Microsoft Edge offered to those using slightly larger screens, you'll now be pleased to know that the app has been optimized to work flawlessly on iPads and Android tablets. Initially, Microsoft Edge for iOS was launched in the United States, China, France and the UK, while the Android version was made available in the United States, Australia, Canada, China, France, India, and the UK. However, Microsoft stated back in November that Edge for iOS and Android will be brought to additional markets and languages in the coming months. Microsoft Edge promises to offer a “continuous browsing experience” for Windows 10 users across their devices. Basically, this means that you'll be able to open a web page from your phone right on to your PC since content and data sync in the background so you can browse across devices.